‘We need to rethink how we make policies and laws to protect biodiversity’, explains Christian Prip, a senior analyst at FNI. Prip chaired the network’s first meeting, held at FNI headquarters at Polhøgda on 14 and 15 September. The inaugural session was attended by prominent researchers, policy advisors and negotiators, as well as representatives of intergovernmental and non-governmental organizations, all working on various aspects of biodiversity governance. The top item on the agenda was to identify the main challenges facing the current international biodiversity regime, and then try to map out a course for the future. A key objective for the network, which was initiated by programme leader Marcel Kok at the Netherlands Environmental Assessment Agency (PBL) together with FNI, is to share knowledge, fill research gaps, and offer concrete solutions and policy recommendations for reforming today’s biodiversity framework. Specifically, the network will target the upcoming process of drafting a new post-2020 Strategic Plan for the Convention on Biological Diversity (CBD). 'Social scientists have a lot of knowledge about what is needed to improve the implementation of international environmental agreements. 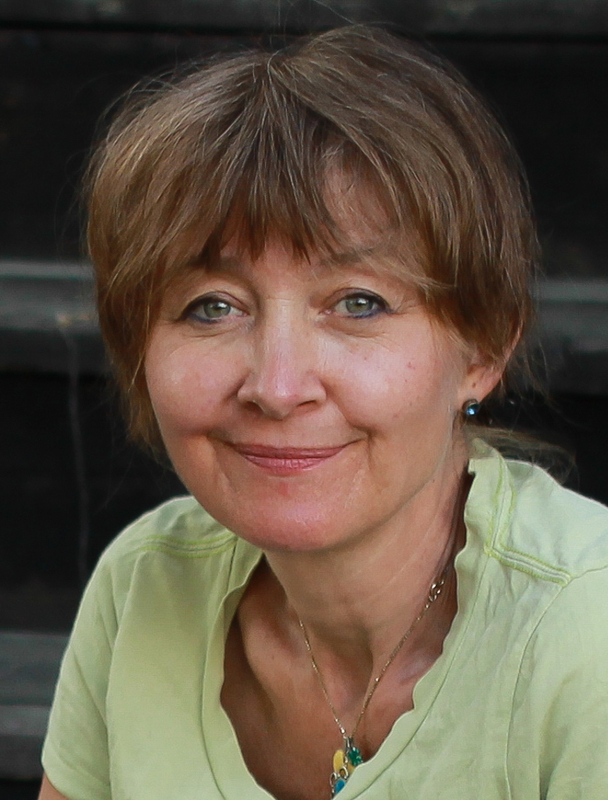 This network can help to provide a platform for knowledge-sharing and constructive dialogues with environmental authorities’, notes FNI Research Director and biodiversity governance expert, Kristin Rosendal. An important backdrop for establishing the network is the widespread recognition that the current biodiversity regime has not been able to halt global biodiversity loss, which has continued at a rapid pace. True, there was some optimism after the 2010 Nagoya Biodioversity Summit, which was seen as a landmark in global biodiversity governance. A Strategic Plan was adopted with 20 global targets (the Aichi Targets) for the period 2011–2020; and countries committed themselves to translating these targets into national strategies and action plans by 2015. However, progress has been slow, and major implementation gaps still remain. 'We need to take stock of the lessons learned so far, and start now to plan for improved global action on biodiversity for the next ten years. 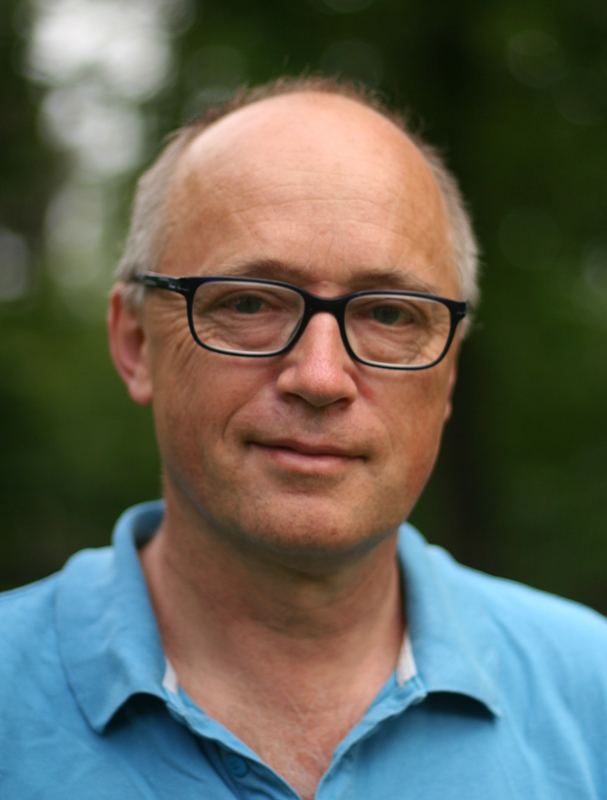 This network could provide important inputs to discussions on how to design the global biodiversity targets from 2020 and beyond’, says FNI senior analyst, Prip, who has a long history as CBD negotiator and policy-maker for his native Denmark. Prip has conducted several studies on national implementation of the CBD, and is worried about the lack of actual progress on the ground. As shown in the chart below, very few countries are on track to meet the Aichi targets. 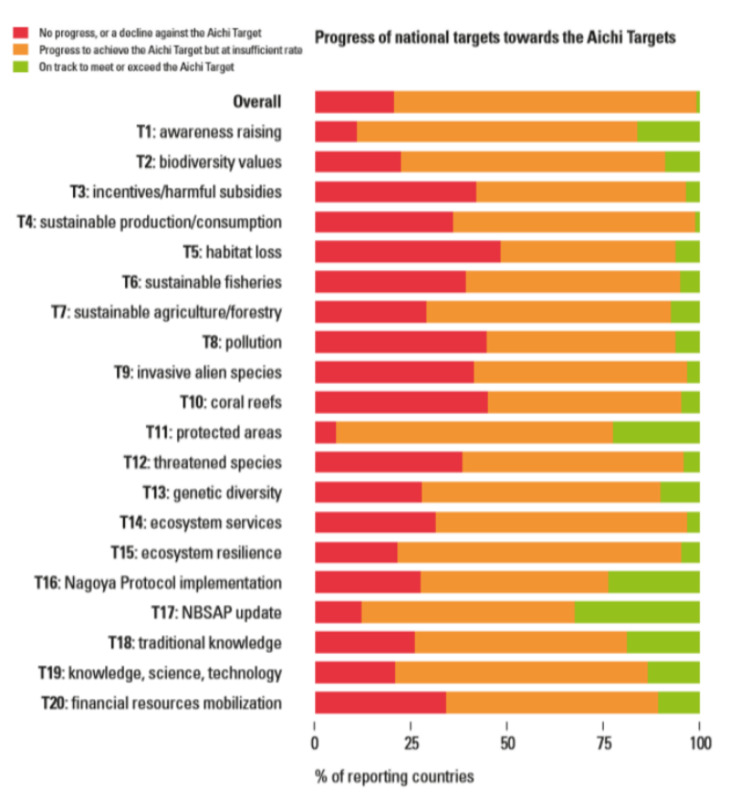 In fact, according to a recent assessment report, 20 per cent of reporting countries have made no progress at all or have even moved away from the global targets (red columns). Only about five per cent indicate that they are on track to meet the global targets (green columns). With 95 per cent of countries behind schedule, the Aichi Targets must be deemed a complete failure unless countries can step up their efforts significantly, the report concludes. What happens after countries adopt their national strategies and action plans? Apparently, not very much. Biodiversity is simply not sufficiently high on national political agendas to affect the main drivers of biodiversity loss’, Prip concludes. 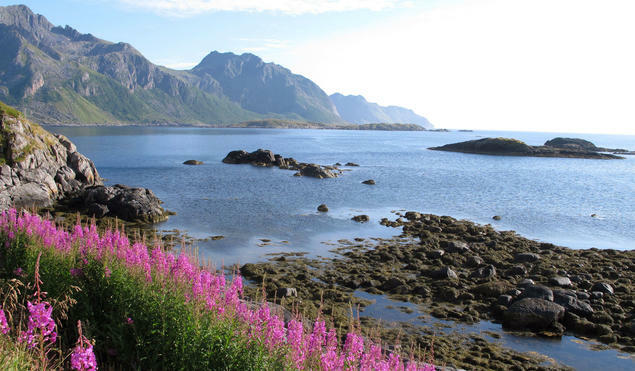 At their meeting at Polhøgda, the new biodiversity network also discussed other key challenges. These included how to improve the monitoring and reporting system within the CBD, the science–policy interface, how businesses can be brought on board to reach biodiversity goals, and whether there are lessons to be learned from the UN Climate Change Convention and the much-acclaimed Paris Agreement. Related read: Climate Change vs. Nature Preservation - a battle for public attention? 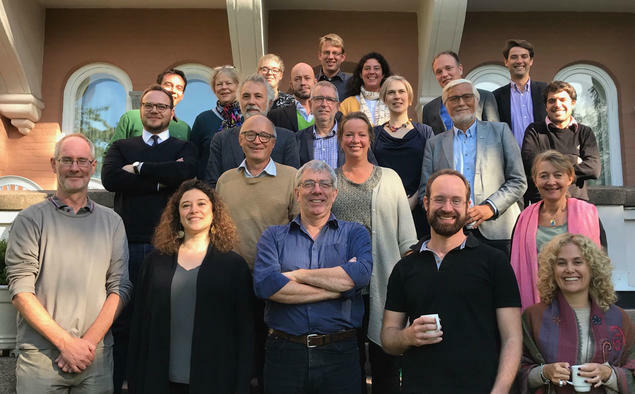 In the coming months, the network will convene for more workshops and discussions, aiming to prepare academic articles, perspective papers and policy recommendations which, it is hoped, can be put to use in the post-2020 Strategic Plan. FNI has conducted research on various aspects of global and national biodiversity governance for more than 25 years now, and our team of researchers is well established in the field. So it made good sense to initiate the network here at FNI. We look forward to fruitful collaboration with our partners in the time to come’, adds Research Director Rosendal. Biodiversity research at the FNI dates back to 1988. Growing numbers of FNI researchers have followed the international negotiation processes of the CBD, including the Nagoya Protocol. Research areas include interaction between the biodiversity-related treaties and other international environmental and trade agreements. Major FNI research has been conducted on implementation of the access and benefit-sharing (ABS) regime of the CBD, and its interaction with legislation on intellectual property rights to biological material. The central topic here is rights pertaining to genetic resources used in plant breeding and aquaculture. Other central topics include the science-policy debate in the management and protection of forest biodiversity and protected areas; further, international forest politics and certification (eco-labelling), also as regards the role of the corporate sector. Workshop presentation 8: The institutional structure of the CBD - room for improving regime effectiveness? Johanna Smallwood, Sussex University.